National Industrialisation Co (NIC) and the Al-Zamil Group are to combine their efforts to build a cracker in Al-Jubail, Saudi Arabia, company sources said. It was earlier understood that both companies were pursuing their cracker projects separately. NIC had planned to build an ethane/propane cracker for startup in the first half of 2007. The Al-Zamil Group holds an 11% stake in Saudi International Petrochemical Co (Sipchem) - originally believed to be the former's vehicle for petrochemical investments - which had earlier expressed interest in building a cracker. It emerged last week that the Al-Zamil Group will set up a new company, Zamil Petrochemical Co, in the next couple of months to partner NIC's subsidiary, National Petrochemical Industrialisation Co (NPIC) for the ethane/propane cracker project. The Al-Zamil Group will own more than 10% of Zamil Petrochemical, and local investors the rest. Saudi firm issues preliminary bids for olefins complex. Sahara Petrochemical and its partners, National Industrialization Co (NIC) and Saudi International Petrochemical Co. (Sipchem) have issued preliminary bids for a their olefins complex at Al Jubail, Saudi Arabia. The complex will be based on ethane and propane feedstock, and have capacity of over 1 M tonnes/y ethylene. It is due onstream in 2007. Fluor Daniel is to provide project management consultancy services. Sahara has invited ABB Lummus Global, Kellogg Brown & Root, Linde, Stone & Webster, and Technip to submit proposals for the provision of technology and engineering. Sahara is also building a 450,000 tonnes/y propane dehydrogenation plant and a 450,000 tonnes/y PP plant at Al Jubail. Gulf Advanced Chemical Industries Co (Gacic) has signed a lump sum contract with Aker Kvaerner to build its 75 000 tonne/year butanediol (BDO) plant at Al Jubail, Saudi Arabia for start-up in December 2005. Gacic confirmed that the technologies to be used in the project will be provided by Davy Process Technology, Huntsman Corp and UOP. The Huntsman technology will be the proprietary butane-to-maleic anhydride (MAH) system. The technology provided by Davy will use the MAH to produce BDO. Saudi International Petrochemical Company (Sipchem) has announced that its affiliate Gulf Advanced Chemical Company Ltd (GACIC) commenced production at its Butaindiol (BDO) plant in Jubail, Saudi Arabia. The project took just under 33 months to complete by its prime contractor Aker Kvaerner of the Netherlands. The technology for the plant was provided by Huntsman Corporation and Davy Process Technology as well as UOP that provided the technology for the reverse butamer unit. This is the first BDO plant in the Middle East. The plant successfully started initial production in October 2005 and is now going on stream with a total capacity of 75,000 tons per year to meet the growing demand for BDO and derivates in the world and domestic markets. No industrial lost time injury was recorded during the construction and commissioning of the plant, which resulted in a world class safety record achievement. Dr. Abdelaziz A. Al-Gwaiz, GACIC Chairman expressed his thanks and appreciation to the project team, contractors, and the company’s operation and support services personnel for their efforts focused on attaining such eventful results, including the strict application of safety, health and environmental regulations, and the start-up of the project. GACIC is majority owned by Sipchem, in joint venture with the Public Pension Agency, GOSI, Huntsman Corp., Davy Process Technology, Sabih Tahir Darwish Al Masri, and A.S. Albabtain & Company. Saudi International Petrochemical Company is a joint stock company founded on December 22, 1999 with the aim of investing in the fields of petrochemicals, chemicals and basic hydro-carbon industries towards increasing national productivity and expanding industrial development. The Company’s first venture, a one million ton per year methanol plant, began production a year ago. With the Methanol Plant (IMC) and the BDO Plant (GACIC) already on stream, the Company is currently on track to setting up other projects, including the Acetyls Project comprising three plants that it has planned to commence operation by the 4th quarter 2008. Japan's Sumitomo Chemical Co. may be in negotiations with several Middle East petrochemical companies to build an ethylene cracker this year, industry sources familiar with the issue said. Aramco is making its first foray into the domestic petrochemical sector - Rabigh expansion. Three companies have been shortlisted for this US$3,000 million 50:50 joint venture - Saudi Basic Industries Company (Sabic), US' Dow Chemicals and Japan's Sumitomo Chemicals. MOU for the project expected early January 2004 and once a J/V partner has been appointed, a tender will be issued for the FEED. Saudi Aramco has shortlisted three international companies on the estimated $3,000 million project to upgrade the kingdom's largest refinery at Rabigh and add a petrochemical complex at the site. Aramco, which is aiming to sign a memorandum of understanding (MOU) for the project in early 2004, plans to set up a 50:50 joint venture with at least one company to carry out the expansion of the 325,000-barrel-a-day hydroskimming export refinery at Rabigh. In addition to expanding the refinery, the joint venture will set up an ethane cracker with capacity of at least 1 million tonnes a year of ethylene, which will be used at feedstock for the production of polyolefin. The new complex will be located next to the existing refinery and will also include a propane dehydrogenation (PDH) unit at the refinery for the production of polypropylene. Feedstock for the cracker will be pumped from the Eastern Province via the east-west pipeline. The Rabigh Refinery is located on Saudi Arabia's west coast. The Rabigh Refinery is a 400,000 BPD crude topping facility located 160 kilometers north of Jiddah. Crude is delivered by tanker through the Saudi Aramco Rabigh port which has two berths. The main products are fuel oil with a 38.1 percent yield, naphtha at a 19.4 percent yield and jet fuel/kerosene at a 9.3 percent yield. LPG and oil are used as fuel for the refinery recovered sulfur is bagged and shipped. A terminal and its associated facilities are located outside the refinery's security fence, 1.5 kilometer from the process units. The entrance to the terminal has been dredged to a depth of 28 meters, and two berths to a depth of 27 meters, to handle vessels up to 325,000 DWT. Other facilities include a 42,000 gallon-per-minute (MGPM) waste water treatment plant, a 90-Megawatt power plant, a 1725 gallon per minute (GPM) desalination plant and a 560,000 lbs/hr steam plant. On-site tankage for crude, naphtha, jet fuel, gas oil and fuel oil totals 3.47 million barrels. Housing for the workforce is provided by a Saudi Aramco facility located some 20 kilometer north of the main refinery. Saudi Aramco has increased the capacity of the Rabigh Refinery by nearly 25 percent, from a design rate of 325,000 barrels per day (bpd) to 400,000 bpd. The increase was completed on schedule after a 45-day test and inspection. The project improved the refinery's crude oil transfer system and upgraded furnace firing and crude distillation unit (CDU) efficiency. Crude oil is heated in the furnace and then sent to fractionation columns in the CDU, where refined products are separated out on trays at various temperatures. The refinery, located on the Red Sea, produces naphtha, kerosene, heavy and light gas oil, and heavy fuel oil for the domestic market and for export. Saudi Aramco has invited firms to bid for the project management contract (PMC) on the estimated $2 billion upgrade of its Rabigh oil refinery. The upgrade programme, scheduled to be completed in the year 2000, will increase the Red Sea plant's gasoline and kerosene yields and reduce debottlenecking and heavy product yields. The upgrade aims to enable the refinery to operate at its full capacity on completion of the project in 2000. Planning is expected to take nine months with construction beginning in 1998. The PMC was tendered much earlier than expected, possibly due to an improvement in Aramco's cashflow from higher than expected oil prices. PMC bids are due by the middle of December. Some 280,000 barrels per day (bpd) of Saudi crude is run at the refinery, well below design capacity of 325,000 bpd because of the plant's configuration and large surplus fuel oil output. Despite its size, the plant is one of the kingdom's least sophisticated and most inefficient refineries. The parties have successfully negotiated a Memorandum of Understanding that sets forth the agreement between Saudi Aramco and Sumitomo regarding the key parameters of the Project, the Project configuration, and a broad range of the major technical, commercial, legal, and financial terms. As the next step in the Project development process, the parties have agreed to undertake a comprehensive Joint Feasibility Study which will, among other things, confirm the capital and operating costs of the proposed Project. The definitive documents to implement the Project will be negotiated in parallel with the Joint Feasibility Study. Saudi Aramco and Sumitomo have agreed to form a Joint Venture company with equal ownership. In addition to its world-class capabilities in hydrocarbon production and refining, and its decades-long collaboration with the Kingdom's petrochemicals industry, Saudi Aramco will supply the Rabigh Project with 400,000 barrels per day of crude oil, 95 million standard cubic feet per day of ethane and 10,000 to 15,000 barrels per day of butane. Sumitomo will provide its extensive and proprietary petrochemical technology and marketing base to the venture. The initial plans for the Project include, as the centerpiece of the expanded site, a high olefins yield fluid catalytic cracker complex integrated with a world scale, ethane based cracker, producing approximately1.3 million tons per year of ethylene, 900,000 tons per year of propylene, and 80,000 barrels per day of gasoline as well as other refined products. Petrochemical units are to be included to convert all of the olefin production to downstream products. The Project would be targeted for startup in late 2008. 4. Other ethylene conversion units such as Mono-Ethylene Glycol (MEG) and Alfa-olefin are proposed as candidates to consume the balance of the ethylene. The selection and size of these derivative units will be confirmed during the Joint Feasibility Study. The companies will retain a Project Management Services Contractor and other necessary advisors to proceed as quickly as possible with the execution of the Project. The Riyadh-based Al-Zamil Group has established Sahara Petrochemical Company, with a capital of SR1.5 billion, to invest in the Kingdom’s petrochemical industry. Al-Zamil Group has completed all formalities to establish a new holding company that will invest in the petrochemicals sector of the Kingdom, according to a press statement issued by Al-Zamil Group. The company will be capitalized at SR1,500 million (US$400 million) and shares will be floated for the private placement has already been oversubscribed by SR1 billion (SR1,000 million), the statement said. The remaining sum of SR500 million will be open for public offering, managed by the Riyadh-based Consulting Centre for Finance and Investment (CCIF), of which Abdurrahman Al-Zamil is President. Al-Zamil, Chairman of Al-Zamil Group, signed agreements with Riyadh Bank, the National Commercial Bank and the Saudi-American Bank (Samba) authorizing them to receive public requests for shares. Sahara Petrochemical Company will invest in two petrochemical projects in Jubail. The first project will produce polypropylene in partnership with Bassell. The second project will establish an ethylene complex in collaboration with national and international partners, the press statement said. Saudi Arabia's Al-Zamil Group has formed a new company which will have an equity interest in a propane-dehydrogenation (PDH)-polypropylene (PP) project and a planned cracker complex, both in Al-Jubail, a company source said. The new company - named Sahara Petrochemical Co - has been capitalised at SR1.5bn (US$400m/Euro321.6m). Shares of the company have been offered for private placement by local investors. The Al-Zamil Group originally wanted to name the company as Zamil Petrochemical, but changed the name to Sahara because of government regulations over the usage of a family name in a public company. The size of the Al-Zamil Group's stake in Sahara was not immediately clear. The new PP plant will use Basell's Spheripol process technology. Sahara will also be investing jointly with local company National Petrochemical Industrialisation Co (Tasnee Petrochemicals) for a cracker complex which will use ethane and propane as feedstocks. Both companies are expected to partner a foreign major for the project. However, the Zamil source declined to reveal the name of the third partner. Market speculation has it that Basell could be the foreign partner. The 1m tonne/year cracker complex, which will produce mainly polyethylene (PE), is scheduled for startup in the first half of 2007. The complex will also produce 200 000 tonne/year of propylene which will be used to expand a PP plant at Saudi Polyolefins Co (SPC), which is 75% owned by Tasnee and 25% by Basell. SPC is due to start up its PDH-PP facility later this month in Al-Jubail. Sahara Petrochemical Company and Basell Holdings Middle East GmbH today announced the signing of an agreement to construct a 450 KT per year polypropylene plant and propane dehydrogenation unit at Al-Jubail Industrial City in the Kingdom of Saudi Arabia. The facilities will be operated by a joint venture that Basell and Sahara Petrochemical Company plan to establish in 2005. Start-up of the new plants is targeted for the end of 2007. The agreement includes a license to utilise Basell’s most advanced polypropylene technology, the Spherizone process. The polypropylene from the new plant will be marketed globally by Basell. The propane dehydrogenation unit will be based on the UOP Oleflex process. Saudi Aramco will supply the propane feedstock. Basell’s excellent experience in establishing Saudi Polyolefins Company, a joint venture with the National Petrochemical Industrialization Company (Tasnee Petrochemicals) that started up at the beginning of this year, was a factor in the company’s decision to pursue additional projects in the Kingdom. SABIC's CEO Mohamed Al Mady, Wednesday, denied market rumors that the company was seeking to buy US-based styrenics producer Nova Chemicals, as a platform to operate a petrochemical complex focussed on the North American markets. In related developments, Al Mady said that SABIC was close to reaching an agreement with a Mexican company to build or operate a naphtha-based cracker in Mexico. Innovene, BP plc's petrochemicals and refining subsidiary, and Delta International, a leading Saudi-owned independent development company, announced today the signing of a Memorandum of Understanding (MOU) for a major investment in Saudi Arabia's petrochemical sector. The memorandum marks the beginning of detailed negotiations between Innovene and Delta for the construction of a world-scale cracker and associated derivative capacity in the Kingdom, with sites being explored in Jubail. It is intended that this project, which is expected to cost around $2bn, will form a platform for future long-term growth opportunities. Innovene and Delta will be equal partners within the joint venture. It is anticipated that, subject to final approvals, an agreement will be signed before the end of the year, with commissioning of the first plants expected in late 2008. * Innovene was created as a wholly owned subsidiary of BP on April 1, 2005. BP may sell part of its stake in Innovene by way of an IPO later in 2005, subject to necessary approvals and market conditions. * Innovene has more than $15bn of revenues, 15 million tonnes of petrochemical production volumes and $9bn in total assets. * Innovene’s major manufacturing sites include Grangemouth in Scotland, Lavera in France, Koln in Germany and Lima, Chocolate Bayou and Green Lake in the US. SECCO, the joint venture between Innovene/BP, Sinopec and SPC in Shanghai and the largest petrochemical complex in China to date, became fully operational in March 2005. * Innovene manufactures petrochemicals, including olefins (ethylene and propylene) and their derivatives such as polyethylene, polypropylene, acrylonitrile, linear alpha olefins, polyalphaolefins, and solvents. These chemicals are used to make a wide variety of plastic goods, including food and drink containers and wrappings, pipe work, automotive parts and mouldings. Innovene also manufactures gasoline, diesel and other refined products in the Grangemouth and Lavera refineries. * The company’s global headquarters are located in Chicago. * Delta International, a leading private Saudi-owned independent development company, was founded by its Chairman and Chief Executive Officer, Mr. Badr Al-Aiban in 1978, and its activities have expanded significantly since its inception. 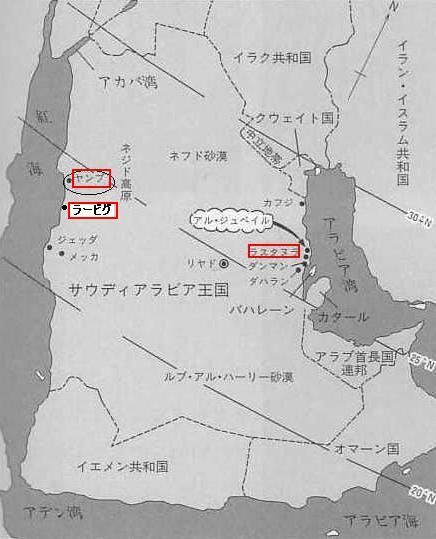 Delta is headquartered in Jeddah. * Delta played an important role in the conception of the “Contract of the Century”; the formation of the consortium for the supergiant Azeri, Chirag, Gunashli field, offshore Azerbaijan, and during that time identified and participated in a number of other major projects within the Caspian region, Central Asia and the Middle East. * Delta’s current activities upstream projects are focused primarily on North and West Africa. Delta Oil Company Limited, a private Saudi-owned company, was founded by its Chairman and Chief Executive Officer, Mr. Badr M. Al-Aiban. Mr. Al-Aiban established the original Delta entity in Saudi Arabia in 1978, and its activities have expanded significantly since its inception. Today, Delta and its affiliates comprise a diversified group of companies involved in the energy industry, real estate development, food processing and packaging, soft drink bottling and distribution, agriculture and manufacturing. The company's operations extend to Central Asia, South East Asia and other countries in the Middle East. Delta has developed a number of strategic alliances in the oil and gas industry. As a member of the Azerbaijan International Operating Company (AIOC) and the North Absheron Operating Company Limited (NAOC), Delta and its affiliates are involved in exploring and developing oil fields in Azerbaijan, as well as other Central Asian countries. Ineos has confirmed CW's exclusive report that the company has shelved its Ineos-Delta ethylene project at Al Jubail, Saudi Arabia. Speaking exclusively to CW on the sidelines of the EPCA annual meeting, currently taking place in Berlin, Ineos Olefins CEO Tom Crotty said, "there is no Ineos-Delta project right now, given the current feedstock and capital cost constraints." Crotty declined to comment on CW's exclusive report that Ineos is negotiating to join the $8-billion plus Sipchem (Al Khobar, Saudi Arabia) olefins and derivatives project at Al Jubail, which has secured feedstock supplies from the Saudi government. "We are interested in a project in the Mideast and we are looking at a number of options," Crotty says. Saudi International Petrochemical Company (“Sipchem”) announces its plans for its Initial Public Offering (“IPO”) by listing its shares on Tadawul, the Saudi Arabian Stock Exchange. The Initial Public Offer ("IPO") is primarily intended to facilitate a capital increase to finance Sipchem`s expansion projects. Sipchem is a Saudi Arabian closed joint stock company formed in 1999 to become a leading diversified and integrated international petrochemical company. The Company`s first phase of development comprises of two joint ventures with international partners for world-scale methanol (completed in 2004) and butanediol petrochemical projects (currently in the start-up phase). Sipchem is currently developing as Phase II an integrated Acetyls petrochemical complex. Sipchem’s paid-in capital is SR 1,500 MM (US$400 MM). The Company presently has 73 shareholders, all leading individual and corporate investors from Saudi Arabia and the GCC region. The Saudi Arabian Capital Market Authority has given approval for the initial public offering of 35% of shares in SABIC affiliate Yanbu National Petrochemicals Company (Yansab) on the Saudi stock exchange, SABIC announced Wednesday. In addition to the 35% public offering, SABIC own 55% of Yansab shares. SABIC's partners in Ibn Rushd and Tayf including national and regional establishments and companies own 10%. Brazil's Ultrapar Participacoes's Oxiteno has authorized Saudi Arabia's Project Management and Development Co the use of technology for manufacturing ethanolamines and ethoxylates through a contractual-license agreement, Oxiteno said Wednesday. The technology will be used by PMD to produce 100,000 mt/yr of ethanolamines and 40,000 mt/yr of ethoxylates at the company's Al Jubail petrochemical complex in Saudi Arabia. The project is part of a bigger PMD facility that will be centered around a cracker with a projected ethylene production-capacity of 1.35-mil mt/yr. The Al Jubail complex will be integrated with other PMD downstream plants, according to Wednesday's statement. Ultrapar Participacoes S.A. is one of Brazil's most solid conglomerates. It unites three different companies, each with a prominent position in its own segment: Ultragaz, the leader in Brazil's distribution market for Liquid Petroleum Gas (LPG), with a 24% market share; Oxiteno, the largest producer of specialty chemicals in Brazil and the only manufacturer of ethylene oxide and its main derivatives in Mercosur area (comprising Brazil, Argentina, Paraguay and Uruguay); and Ultracargo, a leading provider of integrated road transport, storage and handling services for chemicals and fuels. Ultrapar was incorporated on December 20, 1953 and traces its origins to 1937, when Ernesto Igel established Companhia Ultragaz and introduced LPG for home cooking in Brazil. It also pioneered the development of the petrochemical industry in Brazil, which led to the founding of Oxiteno S.A Indu'stria e Come'rcio in 1970 at the newly established Maua' Petrochemical Complex in Sa~o Paulo. Project Management & Development Co. ('PMD') based in Al Jubail, Saudi Arabia, announced that it has received a notice of allocation of feedstock from Saudi Arabian Oil Company ('Saudi Aramco'). This follows a review by Saudi Aramco of PMD's project proposal and its acceptance of PMD's planned integrated petrochemicals complex project. PMD's project will be the largest private sector petrochemical project in the Middle East with an expected total investment of $3.5 billion. The business plan envisages that PMD will crack the allocated feedstock, comprising ethane and mixed butanes, and will produce 1,350 KTA of ethylene in addition to commercial quantities of propylene and benzene. This ethylene, which is expected to have a significantly competitive cash cost of production, since PMD enjoys the benefit of low feedstock costs in line with the Kingdom of Saudi Arabia's policies, will provide the basis for the production of several downstream products in world-scale polyethylene, polypropylene and ethylene glycol plants. These plants will form part of a single integrated complex, located within the Royal Commission's industrial area at Al Jubail. In addition, the project is expected to produce bisphenol and amines at the integrated complex. Scheduled start up date is expected in early 2008. Jubail-based PMD is a private developer with grand plans. Its planned $3,000 million complex will comprise a 1.35 million-tonne-a-year (t/y) mixed feedstock cracker, a 970,000-t/y polyethylene (PE) plant, a polypropylene (PP) plant with capacity of at least 500,000 t/y and a 530,000-t/y ethylene oxide unit for the production of ethylene glycol, ethanolamine, methylamine and derivatives and ethoxylates. In addition, PMD plans to build a facility to produce some 300,000 t/y of bisphenol A, which is primarily used for making polycarbonate and epoxy resins. Project Management and Development Company Ltd. (PMD) has selected Basell technologies for two new polyethylene plants it intends to build in the Kingdom of Saudi Arabia. Hostalen technology will be used in a high density PE plant with an annual capacity of 400 KT and Lupotech G technology will be used in a medium density/high density PE plant with an annual capacity of 300 KT. Earlier this year, PMD selected Basell's Spheripol process for two new PP plants with a total annual capacity of 640 KT and Basell's Lupotech T technology for a new LDPE and EVA copolymer plant with an annual capacity of 270 KT. Basell has signed a joint venture agreement with Tasnee & Sahara Olefins Company for the construction of a new integrated ethylene and polyethylene complex at Al-Jubail Industrial City in the Kingdom of Saudi Arabia. The complex will include a gas cracker and two 400 KT per year polyethylene plants. One plant, based on Basell’s latest generation Hostalen process, will produce high density polyethylene; the other plant, based on Basell’s Lupotech T technology, will produce low density polyethylene. Scheduled to start up in 2008, the units will be the largest Hostalen and Lupotech T process plants in the world. Basell will have a 25% equity share in the project, while Tasnee & Sahara Olefins Company will hold the remaining equity. Tasnee & Sahara Olefins Company is a recently established joint stock company. Its main shareholders are Tasnee Petrochemicals and Sahara Petrochemical Company with a minor shareholding by the Saudi Arabian General Organisation for Social Insurance (GOSI). Volker Trautz expressed his appreciation to Sahara Petrochemical Company which is also a major shareholder in this project. Sahara Petrochemical Company and Basell are currently developing a new 450 KT per year Spherizone polypropylene plant and propane dehydrogenation unit in Al-Jubail. Saudi Formaldehyde Chemical Company Limited (SFCCL) is a world-class producer of petrochemicals and derivatives, which are used as conditioning and anti-caking agents in the urea fertiliser industry; as intermediate chemicals for oilfield formulation; as raw materials for insulation / resin industries; as fumigants for poultry farms; and as pharmaceutical agents. More than 70% of its production capacity of in excess of 200,000 metric tonnes per annum is exported to more than 45 countries in the Middle East, Indian Subcontinent, Africa, Europe, Asia, Australia and North America. Since its inception in 1989 and its commissioning in 1991, SFCCL has achieved ISO 9002 certification for quality control and assurance. The Saudi Arabian Oil Company (Saudi Aramco) has selected The Dow Chemical Company as its potential partner to engage in exclusive negotiations concerning a joint venture company to construct, own and operate a world-scale chemicals and plastics production complex at Ras Tanura, in Saudi Arabia's Eastern Province. This joint venture would encompass an array of world-scale facilities producing a very broad portfolio of plastics and chemical products. The proposed petrochemical project would be integrated with the existing Ras Tanura refinery complex, which is one of the world's largest refinery complexes. When fully operational, the new petrochemical complex will be one of the largest plastics and chemicals production complexes in the world and be ideally situated to access most major world markets. Last month, before Dow's involvement was disclosed, local sources told CW that the project would upgrade Aramco's 325,000-bbl/day refinery at Ras Tanura and build a petchem complex that will produce 1.2 million m.t./year of ethylene and 400,000 m.t./year of propylene. The project also includes an aromatics complex with capacity for 400,000 m.t./year of benzene and 460,000 m.t./year of para-xylene, sources say. Other products will include acrylonitrile, acrylonitrile butadiene styrene, isocyanates, polyethylene terephthalate, purified terephthalic acid, and styrene-butadiene rubber. The most complex Saudi Aramco refinery is on the Arabian Gulf at Ras Tanura with a crude distillation capacity of 550,000 barrels per day (BPD). Ras Tanura Refinery also has a 305,000 BPD NGL processing facility, a 960,000 BPD crude stabilization facility, 145/158 MW (summer/winter) of combined steam and gas turbine electrical power generation plants, a combined 150 lb and 600 lb steam capacity of 6,217 Mlb/hr, and 75 crude oil and products storage tanks with a combined capacity of 5.8 million barrels. Ras Tanura Refinery's major refining facilities include a 325,000 BPD Crude Distillation Unit, a 225,000 BPD Gas Condensate Distillation Unit, 50,000 BPD hydrocracker and a total of 107,000 BPD capacity of catalytic reforming. Ras Tanura Refinery is the only Saudi Aramco refinery that contains a Visbreaker (60,000 BPD). This refinery also produces 17,000 BPD of asphalt, more than any other refinery in the Kingdom. Crude is normally transferred to Ras Tanura through a pipeline and can also be supplied by ship. Most of Ras Tanura’s production is for domestic use and transferred to the Dhahran bulk plant, while some products are exported. These projects are Petro-Rabigh, which is scheduled to start production in 2008; the Ras Tanura petrochemical complex integrated with the existing Ras Tanura refinery and targeted for commencement of commercial operations in 2012, and the Yanbu Petrochemical Masterplan, currently in its initial stages of conceptualisation and set to start in 2014. The second project in the programme is Ras Tanura. Now in the preliminary development phase, it will feature the first application in the Middle East of cracking refinery liquids (naphtha) coupled with ethane cracking and aromatics production. This combination is in line with the company’s strategic direction to integrate refining operations with petrochemicals to produce diverse products that are essential for the establishment of an advanced export-oriented conversion industry (such as synthetic rubber and automobile parts). The project will integrate with the 550 MBD Ras Tanura refinery located on the east coast of Saudi Arabia to produce about 1.35 million tpy of ethylene, 0.9 million tpy of propylene and 1 million tpy of aromatics. In the Yanbu Petrochemical Master Plan, the goal is to create an integrated business opportunity with the existing Yanbu Refinery and leverage streams from the existing and future joint venture refineries in Yanbu’, on the West Coast. The Master Plan is currently under development. “We are evaluating options to expand and upgrade the existing 235,000 barrels per day Yanbu Refinery into an integrated olefins and aromatics complex that will provide a diverse line of petrochemical products,” said Shalabi. Shalabi said the new petrochemical projects would have strong potential macro-economic benefits for the kingdom, especially ventures which would be based on refinery liquid feedstocks in addition to gas. Saudi Arabia’s existing petrochemical industry is largely based on ethane, which has led to a strong focus on commodity grade ethylene derivatives such as polyethylene, MEG and styrene. The cracking of liquid feedstocks, available from integration with refineries, would broaden the product slate and result in the production of additional products such as propylene and butadiene. Also, refinery liquids cracking will be the source for producing the much-needed aromatics value chain. Saudi Basic Industries Corp(SABIC) is considering a deal with state-oil company Saudi Aramco to upgrade a Red Sea Coast refinery and a build a petrochemicals complex there, a magazine reported. A deal would give SABIC, the world's largest chemical maker by market value, access to Aramco feedstock and allow the state oil firm to press on with plans to develop its Yanbu project without a foreign partner, the Middle East Economic Digest said. The Yanbu venture is one of three refinery and petrochemical plants belonging to Aramco, the world's largest oil company by production. The other two, Rabigh and Ras Tanura, are joint ventures with Japan's Sumitomo Chemical Co Ltd and the Dow Chemical Co of the United States. Saudi Basic Industries Corporation (SABIC) and ExxonMobil Chemical announced that they have begun work on a feasibility study to define a potential project that would grow their two joint petrochemical ventures at Yanbu and Jubail. The project would target a domestic supply of carbon black and rubber and thermoplastic specialty polymers (EPDM, TPO, Butyl, SBR/PBR) to serve emerging local and international markets. Expected project start-up is 2011. The project would utilize feedstocks allocated by the Ministry of Petroleum & Mineral Resources of the Kingdom of Saudi Arabia, and additional feedstocks from other sources in the Kingdom that will be processed at Saudi Yanbu Petrochemical Company (YANPET) in Yanbu and Al-Jubail Petrochemical Company (KEMYA) in Jubail. SABIC (www.sabic.com) is one of the world’s 10 largest petrochemicals manufacturers and among the world’s market leaders in the production of Polyethylene, Polypropylene, Glycols, Methanol, MTBE and Fertilizers as well as the fourth largest Polyolefins producer. It is also the largest steel manufacturing company in the Middle East and North Africa. It operates globally and is committed to providing outstanding quality and customer care. ExxonMobil Chemical (www.exxonmobilchemical.com) is a global leader in technology, product quality and customer service with petrochemical manufacturing and/or marketing operations in more than 150 countries around the world. Its products include Olefins, Aromatics, Fluids, Synthetic Rubber, Polyethylene, Polypropylene, Oriented Polypropylene packaging films, Plasticizers, synthetic lubricant basestocks and additives for fuels and lubricants. Al-Waha Petrochemical Company, the joint venture between Basell (25%) and Sahara Petrochemical Company (75%) in Al-Jubail Industrial City in the Kingdom of Saudi Arabia, yesterday completed the signing of the Shariah compliant Financing Facilities Agreement and all related financing documents with six regional banks. Engineering, procurement and construction (EPC) activities for the 450 KT per year Spherizone polypropylene plant and a propane dehydrogenation unit began in January this year based on an early works agreement with Tecnimont and Daelim. The EPC contract was signed on September 18, 2006 and commercial production is foreseen in the first quarter 2009. The Al-Waha joint venture is Basell’s third major investment in Saudi-Arabia. A first joint venture with Tasnee Petrochemicals, involving a polypropylene plant and a propane dehydrogenation unit, commenced commercial operations in May 2004. Its current capacity of 500 KT per year will be expanded to 800 KT by end 2008. In June this year Basell’s second joint venture in the Kingdom, Saudi Ethylene and Polyethylene Company, was established jointly with both Tasnee Petrochemicals and Sahara Petrochemical Company. The new company is currently constructing a cracker for the production of 1000 KT per year of ethylene and 285 KT per year of propylene; one 400 KT per year high density polyethylene (HDPE) plant using Basell’s latest generation Hostalen ACP process, and one 400 KT per year low density polyethylene (LDPE) plant using Basell’s Lupotech T technology. The start up of these facilities will be in the fourth quarter 2008. Zamil Group and the Huntsman Corporation of USA announced their intention to form a joint venture to build a world scale Ethyleneamines manufacturing facility in Jubail Industrial City, Saudi Arabia, through the signing of the joint venture shareholders agreement. The total investment cost in the project is put around SR 500 million ($135 million). HE Mr. Abdul Aziz AL-Zamil, Chairman of the Industrial Sector at Zamil Group and Mr. Donald Joseph Stanutz, President of Performance Products Division, Huntsman Corporation signed the shareholders agreement on January 22, 2006 to form the joint venture, the Arabian Amines Company (AAC). The 66 million pound (30,000 MTE) plant will produce Ethylenediamine (EDA), Diethylenetriamine (DET A), Triethylenetetramine (TET A) and higher molecular weight versions such as TEPA, E-100, AEP and Piperazine. The products serve as specialty intermediates for a variety of end uses including epoxy curing agents, bonding agents and lube-oil additives for gasoline and diesel engines. The companies anticipate the plant being on line in 2008. Huntsman and Zamil Group will have equal ownership in AAC. The venture will use Huntsman's proprietary technology that the company has optimized in its U.S. plants. Huntsman will serve as the exclusive sales and marketing arm for the joint venture and will provide technical service and product applications knowledge. Huntsman Corporation and its partner, the Saudi Arabia-based Al-Zamil Group, today announced the signing of a definitive Project Management Consultancy (PMC) agreement with Jacobs Engineering for overall project management for the development of the previously announced new ethyleneamines complex in Jubail, Saudi Arabia. Huntsman Corporation and Saudi-based Al-Zamil Group today announced three significant milestones in their joint venture, to be named the Arabian Amines Company: the venture, which will construct a world scale 27,000 MT/yr ethyleneamines plant in Jubail, Saudi Arabia, has been formally approved by the boards of both Huntsman Corporation and the Al-Zamil Group; they have selected Hyundai Engineering Co. Ltd and Hanwha Engineering and Construction Corporation as the Engineering, Procurement and Construction (EPC) contractors for the project; and, in addition, they have received initial approval from the Board of Directors of the Saudi Industrial Development Fund (SIDF). The planned facility will utilize proprietary ethyleneamines process technology provided by Huntsman. The plant is scheduled to break ground in early 2008 and start up in January of 2010. Funding for the new plant will come from the joint venture’s equity capital, supported by senior debt, which will include loans from the SIDF and commercial lenders. Huntsman will license its technology to the joint venture for use in the plant and will also serve as the exclusive sales and marketing agent for the venture’s output, much of which will be sold in Asia. His Excellency Eng. Abdul Aziz Al-Zamil, Vice Chairman and CEO of the Al Zamil Group, and Mr. Peter R. Huntsman, President and CEO of Huntsman Corporation, meeting together while attending the Gulf Petrochemicals and Chemicals Association forum in Dubai, UAE, both expressed their satisfaction in the project’s advancement and their confidence in this strategic investment for both companies. Huntsman Corporation and Saudi-based Al-Zamil Group today announced that their joint venture, Arabian Amines Company, has broken ground on its world-scale ethyleneamines project in Jubail, Saudi Arabia. The joint venture expects to finish construction of the 27,000 mt/yr facility by the end of 2009. Hyundai Engineering Co. Ltd and Hanwha Engineering and Construction Corporation, selected by Huntsman and Al-Zamil Group as the Engineering, Procurement and Construction (EPC) contractors for the project, joined in the ceremonial April 28th groundbreaking activities in Jubail. Saudi Arabian Oil Co. and Dow Chemical Co. are adamant they will go ahead with building a large-scale refinery and petrochemicals complex in eastern Saudi Arabia, company officials said this week, despite industry estimates that costs have more than doubled to $22 billion. A memorandum of understanding was due to be signed at the start of this year, but neither company would be drawn on when this will now happen. The project, to come on stream in the second quarter of 2012, will integrate Aramco's existing refinery at Ras Tanura with a new petrochemicals complex on the oil-rich kingdom's Persian Gulf coast. Industry estimates put the cost for the complex at $10 billion when it was first mulled over by Aramco and at $15 billion last July when Aramco announced that it had selected Dow to enter into exclusive negotiations on developing the project. However, industry sources in and outside Saudi Arabia now say building the complex may cost as much as $22 billion. 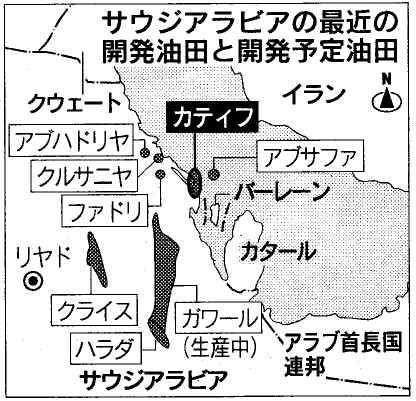 Aramco and Sumitomo Chemical Co. of Japan in 2005 signed a joint venture agreement to develop a similar complex at Rabigh on the Red Sea at a cost of $4.3 billion. That project is now estimated to cost the two companies up to $10 billion to develop. Chevron Phillips Chemical Company LLC (Chevron Phillips Chemical) announced today that Daelim Industrial Co., Ltd., of South Korea, and JGC Corporation, of Japan, will provide the engineering, procurement and construction services for Saudi Polymers Company's NCP Project (Saudi Polymers). Saudi Polymers will construct and operate an integrated petrochemicals complex at al-Jubail, a Saudi Arabian industrial city located on the Persian Gulf. Once complete, Saudi Polymers will include a world-class olefins cracker, and will produce ethylene, propylene, polyethylene, polypropylene, polystyrene and 1-hexene. Saudi Polymers will begin construction in January 2008, with project completion expected in early 2011. Commercial production is scheduled to begin in September 2011. JGC will perform the engineering, procurement and construction services for Saudi Polymer's 1.2 MM tpa cracker, 200 kta metathesis facility and 100 kta 1-hexene facility. The cracker and metathesis technologies will be provided by Lummus, and the 1-hexene technology provided by Chevron Phillips Chemical. Daelim will provide engineering, procurement and construction services for Saudi Polymer's 2 x 550 kta polyethylene trains, 400 kta polypropylene train and 2 x 100 kta polystyrene trains. Saudi Polymers Company is a new limited liability company incorporated in the Kingdom of Saudi Arabia created to execute the NCP Project. Saudi Polymers will be initially owned 50 percent by Arabian Chevron Phillips Petrochemical Company Limited (ACP), a wholly-owned subsidiary of Chevron Phillips Chemical Company LLC and 50 percent by Saudi Industrial Investment Group (SIIG). Ultimately Saudi Polymers Company will be owned 35 percent by ACP and 65 percent by National Petrochemical Company (Petrochem), a new joint stock company incorporated in the Kingdom of Saudi Arabia. Saudi Polymers Company will be the third petrochemical complex built by Chevron Phillips and SIIG at al-Jubail. Saudi Industrial Investment Group is publicly traded on the Saudi stock exchange. It includes among its shareholders leading Saudi businessmen and several Saudi public joint stock companies focused on industrial investment in the petrochemical industry in Saudi Arabia. The Chairman of the group is Sheikh Abdulaziz Zaid Al-Quraishi. The group was originally founded in 1985 by the late Sheikh Ahmad Juffali as the Saudi Industrial Venture Capital Group (SIVCG). For more information about Saudi Industrial Investment Group, visit www.siig.com.sa. Chevron Phillips Chemical, which expects to start construction this month on a joint venture steam cracker in Al-Jubail, Saudi Arabia, plans to buy the plant's ethane and propane feedstocks from Saudi Aramco, a company source said at the weekend. Chevron Phillips Chemical Company LLC congratulates Saudi Polymers Company (SPCo) and its joint venture partner, National Petrochemical Company (Petrochem), as the joint venture’s manufacturing facility located in Al-Jubail, Saudi Arabia, begins commercial production. "This is an exciting time for the SPCo team, and we are proud to report we’ve safely achieved start-up and commercial production for our new facilities," said Mike Zeglin, executive president of Saudi Polymers Company. "We will now be working to fill the critical inventory targets needed to ensure our long-term reliability as a supplier of quality products." The integrated SPCo petrochemicals complex includes world-class operating units that are capable of producing Ethylene (1,220 kmta), Propylene (440 kmta), Polyethylene (1,100 kmta), Polypropylene (400 kmta), Polystyrene (200 kmta) and 1-Hexene (100 kmta). In addition to direct sales to serve local Saudi demand, SPCo will manufacture products to serve growing world demand outside the Kingdom of Saudi Arabia through its exclusive distributor, Gulf Polymers Distribution Company, utilizing Chevron Phillips Chemical’s global marketing network. SPCo, which began construction in January 2008, has created approximately 950 jobs, with a high percentage being occupied by Saudi nationals. SPCo is a limited liability company incorporated in the Kingdom of Saudi Arabia that is owned 65 percent by Petrochem, a joint-stock company incorporated in the Kingdom of Saudi Arabia and 35 percent by Arabian Chevron Phillips Petrochemical Company (ACP), a wholly-owned subsidiary of Chevron Phillips Chemical. NorSun AS has signed a joint venture agreement with the Saudi Arabian companies Swicorp-Joussour (Swicorp) and Chemical Development Company (CDC) an entity having the Olayan Group and the Shoabi Group as major shareholders. The purpose of the agreement is to establish a joint venture company with the aim to build and operate a polysilicon complex in the industrial city of Jubail in Saudi Arabia. The production capacity of polysilicon at the initial plant will be the equivalent of 500 MW per year. Commercial production is planned to commence in 2010. The site will allow for subsequent expansions up to an annual production capacity equivalent to 2000 MW. In conjunction with the joint venture agreement, NorSun has signed a 10 year off-take agreement for 50% of the output of the initial plant capacity. NorSun and SunPower Corporation have also signed a put/call agreement for half of NorSun’s initial shareholding in the new company. NorSun will initially own 50% of the shareholding in the company, while Swicorp and CDC will hold 25% each. Swicorp is a private equity firm based in the Middle East. CDC is a private stock company owned by four major private groups in Saudi Arabia; Olayan, Shoaibi, Al-Mojel and Salman Al-Jishi. CDC is headquartered in Khobar, the Eastern province of Saudi Arabia, and is mandated to invest in petrochemical and energy intensive industries. NorSun is a subsidiary of Scatec AS and was established in December 2005. NorSun signed an agreement of intention with Årdal Framtid in June 2006 with the intention of building a factory for the production of silicone mono crystalline ingots and wafers. The final decision to construct the wafer factory in Årdal was taken by the NorSun Board of Directors at the end of August 2006. In December 2006, NorSun raised through emissions: NOK 650 million, in new equity. The construction of the new factory in Årdal commenced at the beginning of 2007. NorSun produces “Monocrystalline Wafers” for the international solar energy market. NorSun is aiming for producing wafers to the high end market segment for application in solar cells. The international solar energy market is in strong growth and the product is in high demand in the global market. NorSun currently operates a manufacturing site in Finland and is constructing its first large scale 185 MW manufacturing plant in Årdal, Norway. The construction of the Årdal factory started in January 2007 and the start-up of production is planned to take place in 1Q 2008. NorSun has a strong capital base allowing rapid expansion. In order to honour contracted commitments, NorSun is aiming for high speed execution and is presently initiating both an expansion of ingot and wafer capacity as well as polysilicon production internationally. NorSun has concluded its site selection process for the location of its next solar wafer Fab. This plant will come in addition to the existing Fab in Vantaa (Finland), and the plant that soon will become operational in Årdal (Norway). SunPower solar technology was developed by Dr. Richard Swanson and his students while he was professor of electrical engineering at Stanford University. Financial support for Dr. Swanson's early research was provided in part by the U.S. Department of Energy and the Electric Power Research Institute (EPRI). In 1985, Dr. Swanson founded SunPower Corporation to commercialize high-efficiency photovoltaic cell technology for use in solar concentrators. In January 2007, SunPower acquired PowerLight Corporation, a leading global provider of large-scale solar power systems. PowerLight has designed, deployed and operates hundreds of large-scale solar systems around the world with a total capacity of more than 150 megawatts and growing. By integrating processes and technologies across the value chain, SunPower plans to reduce the installed cost of a solar system by 50% by 2012. We believe solar systems will produce power that can compete with retail electric rates and become a mainstream energy resource. A water and electricity company was established, with a capital of SR30 million ($8 million), as the first practical partnership between a government body and a semi-private establishment, Asharq Al-Awsat reported. Sumitomo Corporation / Malakoff International Limited / Aljomaih Automotive Co. Ltd. The Ras Az Zour IWPP project is the third IWPP being undertaken by WEC after successfully implementing Shuaibah and Shuqaiq IWPP. The Project was requested by the Government to be developed on an urgent basis to add 150,000m3/d net water desalination capacity. SAMAWEC, the successful bidder for the Shuaibah IWPP, was invited to submit a proposal to develop the Project broadly under the same economics and contractual arrangements as the Shuaibah IWPP . The Project is located on a reclaimed land south of Shuaibah III IWPP. The Project is under Construction and the overall Project completion progress is 71.72 % as on 31st March, 2008. The Shuaibah-III IWPP Project is the first of the IW(P)Ps under development in Saudi Arabia and represents a major development in Saudi Arabia’s water and power sector to help satisfy the increasing national demand for power and water. The Project serves as a template for similar undertakings by Water & Electricity Company. Shuaibah - III IWPP has been developed by Saudi Malaysian Water Electricity Company (SAMAWEC) which owns 60 % of the Project Company. The overall project completion is about 88.9 % as on 31st March, 2008. The Project is based on BOO (Build, Own & Operate) basis under a 20 year PWPA Agreement for the design, construction, commissioning, testing, ownership, operation and maintenance of a new 900 MW light crude oil-fired power and 880,000 m3/day (194 MIGD:Million Imperial Gallon per Day) desalination plant and associated facilities based on about 80:20 debt to equity project financing. The Project is located adjacent to the existing SWCC Shoaiba power and desalination complex 110 km south of Jeddah, on the western coast of Saudi Arabia. The project will serve the water requirements of Makkah, Jeddah, Taif and Al-Baha cities and the electrical requirement of Western Electricity grid. The Power Plant will be operated as a base load plant with the capability of following the daily and seasonal load profile of KSA’s western region, where peak power demand occurs during summer and the Hajj periods, whereas water demand is generally constant throughout the year. Implementation of a 850 MW and 47 MIGD independent power and water project on a BOO basis at Shuqaiq in the Kingdom of Saudi Arabia. The project represents a major development in Saudi Arabia's water and power sector to help satisfy the increasing national demand for power and water. The Shuqaiq phase II project will be developed as a greenfield Arabian heavy crude oil-fired power and seawater desalination plant located on land at Shuqaiq, 105 km south of Abha and 140 km north of Jizan, on the western coast of Saudi Arabia. The proposed site is located next to the existing Shuqaiq Phase I (128 MW and 26 MIGD). The plant will be built, owned and operated by the project company and upon award of the contract the client will sell power and water for 20 years to the Water and Electricity Company (WEC) on a PWPA basis (Power and Water Purchase Agreement). Shuqaiq is the second of four Independent Water and Power Projects (IWPPs) in the KSA. The other three projects are Shuaibah IWPP, for which ILF performed Technical Advisor Services from the RFP issue until financial close, Raz Azzour and Jubail IWPP Projects (canceled). 'Arabian Co. for Water & Power Development'(ACWA Power), owned by A. Abunayyan Trading Corp. & Al Muhaidib Holding Co. The Shuqaiq-II IWPP Project is the second of WEC IWPPs and represents a major development in Saudi Arabia’s water and power sector to help satisfy the increasing national demand for water and power. The Project follows the template of Shuaibah IWPP undertaken in 2005 by Water & Electricity Company. 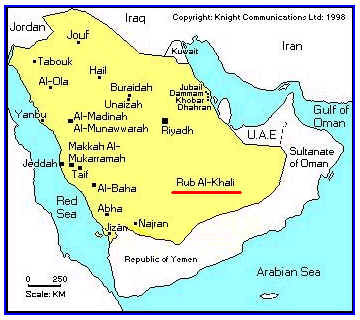 The Project’s power and desalination units will be located adjacent to the existing Shuqaiq-I power and desalination complex 105 km south of Abha and 140 km north of Jazan, on the south-western (Red Sea) coast of the Kingdom of Saudi Arabia (“KSA”). Shuqaiq- II IWPP has been developed by Shuqaiq International Water & Electricity Co. which owns 60 % of the Project Company.The overall project completion is about 25.9 % as on 31st March, 2008. The Project is based on BOO (Build, Own & Operate) basis under a 20 year PWPA Agreement for the design, construction, commissioning, testing, ownership, operation and maintenance of a new 850 MW Arabian Heavy crude oil-fired power and 212,000 m3/day (47 MIGD) desalination plant and certain associated facilities (the “Plant”) based on about 80:20 debt to equity project financing. The electricity and water produced at the plant will supply power to SEC southern grid and water to Abha, Jazan and other southern cities. The Power Plant will be operated as a base load plant with the capability of following the daily and seasonal load profile of KSA’s southern region. Saudi Arabia has decided to give outsiders limited access to the country's stock market - a move that could open up the Middle East's largest exchange to increased foreign investment. The decision, announced Wednesday by the country's Capital Market Authority, will allow certain authorized market players such as local branches of global investment banks to enter into financial transactions known as swap agreements with foreigners. The rules apply to both institutional and individual foreign investors. Although the new regulations do not allow foreigners to own shares of Saudi companies outright, they do for the first time let outsiders reap economic benefits of shares traded on the Riyadh-based exchange, known as Tawadul. The arrangement, however, ensures that legal ownership and shareholder voting power remain within Saudi Arabia. Saudi Aramco and U.S. firm Dow Chemicals' giant Ras Tanura petrochemical faces delays as the sheer size of the project complicates design, the Middle East Economic Survey (MEES) reported. Dow's investment in the plant, last estimated to cost around $22 billion, will be the largest single foreign investment in Saudi Arabia's energy sector. The plant was due to begin production in 2012. U.S.-based KBR won the front-end engineering and design contract for the plant in July 2007, but that contract will be split and partly awarded to another company, MEES reported, citing industry sources. Tight equipment and labor supplies are driving up costs for energy projects worldwide, causing delays and even cancellations. Washington Mills is one of the world's largest producers of abrasives and fused mineral products, offering an exceptionally wide line of standard abrasive grain and specialty electro-fused minerals from its worldwide multi-plant locations. Ahmad H. Algosaibi is a Saudi-based diversified family company, engaged in manufacturing, trading, real estate, and investments. The company is known for its pioneering projects and is engaged with many multinational companies in Middle East joint ventures and trading relationships. Now a conglomerate, A. H. Algosaibi & Bros. Co.'s early beginnings were in the 1940's under the name of Hamad Algosaibi & Sons. Following the entrepreneurship spirit of their late father, the three co-founders, the late Ahmad, Abdulaziz and Sulaiman Algosaibi expanded the business and diversified its activities. Commercially, the Company is known to have established the first bonded Warehouse dedicated solely to Saudi Aramco. The Company also supplied Saudi Aramco's first locally purchased order for steel pipes, tugboats and tires. Industrially, the Company is similarly known to have been a pioneer in building a soft drinks filling factory in the mid-50's for Pepsi Cola Products, co-founder of the first electric power station and Saudi Cement plant in the Eastern Province of the Kingdom. The passage of years gave rise to other successful business enterprises in the various sectors of the Saudi economy: manufacturing, trading, shipping, real estate, agriculture, banking, insurance, travel services, media, and hotel with branches covering the Kingdom. Taken no less seriously, social and environmental responsibilities have been central the Company strategies. In line with that, A. H. Algosaibi founded Fatat el Khaleej as a social welfare society for the benefit of the local community. Concurrently, A. H. Algosaibi and Bros. are directors of Albirr Welfare and Patients' Friends Societies. The Company has also been contributing to the beautification of the main streets and beaches of Alkhobar and Dammam. Their donations crossed the borders to reach some universities and hospitals in the USA and UK. The Royal Commission for Jubail and Yanbu has approved six mega industrial expansion projects at a cost of SR21.2 billion at the Jubail Industrial City. The projects are expected to generate a large number of employment opportunities. The project signing ceremony was attended by Commission Chairman Prince Saud bin Abdullah Thunayyan, at Jubail Industrial City on Sunday. Al Jubail Petrochemical Company (Kemya), a joint venture between Saudi Basic Industries Corp. and Exxon Mobil Corp. has won a deal, the largest in value, to set up an industrial complex on an area covering 32.7 hectares. The SR12 billion facility is to produce ethylene propylene diene monomer, rubber and black carbon that are used in automobile industry, the Saudi Press Agency reported. The second project, costing SR3 billion, was awarded to Jubail Chemical Industries Company (JANA) for setting up an industrial complex for the expansion of existing industries and adding new products with an annual production capacity of 600,000 tons. These included products used in a number of downstream industries such as painting, leather and several chemical industries. Jubail Chemical Industries Company situated in the Industrial City of Jubail, Kingdom of Saudi Arabia and produces a range of Epoxy Resins - Liquid, Solution and Solid forms for a variety of applications. From a modest beginning in 1999, JANA today has the capability of producing over 60,000 Metric Tons of Epoxy resin per year. These are produced under the license of Huntsman Advanced Materials, USA (originally obtained from Ciba-Geigy ). JANA is the only producer of Epoxy resins in the Middle East and Africa. By June of 2012, JANA will add another 60,000 metric tons capacity to its existing plant that will grow to 120,000 metric tons eventually rising to 240,000 by 2017. JANA is now realizing the vision of its promoters to backward integrate its operations and are forging ahead with a new plant for the increasing the manufacture of Epichlorohydrin, a key raw material for making epoxy resins. An additional 90,000 tonnes of capacity is already planned. Saudi International Petrochemical Co. (SIPCHEM) has been allocated a SR2.8 billion venture to produce ethylene vinyl acetate and low-density polyethylene with a capacity of 200,000 tons a year. National Industrialization Co., or Tasnee, obtained approval to develop a SR1.4 billion project to produce super-absorbent polymers with the capacity of 80,000 tons a year. The SR2 billion expansion of Saudi Arabian Fertilizer Co. (SAFCO) includes production of 3.67 million tons of urea annually. Urea is a major component in the manufacture of several synthetic products such as the melamine and fertilizers. Its technology will also take care of the preservation of the environment such as elimination of carbon dioxide by recycling it for manufacture of urea. The prince also stressed the role of industrial cities particularly the facilities under the royal commission, which follow international specifications. “The Two industrial cities in Jubail and Yanbu in the recent year received licenses for new projects worth about SR146 billion while the current investments there stand at SR676 billion,” the prince said.